Houston, Texas—A Barataria Bay shrimp poboy while watching the Astros game? No problem! Atchafalay chicken and andouille gumbo on a college football Saturday? Coming right up! Lafitte’s is open daily from 4pm-8pm offering a full bar with happy hour & dinner menus, inspired by regional cuisine and resident favorites. The cocktail menu includes wines, mixed drinks and bottled & draft beer. There are some homemade “Famous Lafitte’s Drinks” too that feature refreshing summertime blends. The pub was christened by a special All-Star Game event in which residents sampled menu offerings while watching players from the Houston Astros lead the American League to victory. They donned their Astros colors and shared laughs with guest bartenders Steve Aigner and Michael Friedel, members of the Eagle’s Trace Executive Team, and Michelle Bohreer, Chair of the Eagle’s Trace Board of Directors. A week later, a special beer-tasting event was held at Lafitte’s, featuring popular selections from local favorite Saint Arnold Brewing Company. The pub is named for Jean Lafitte, a French privateer who helped General Andrew Jackson during the War of 1812. He eventually settled on Galveston Island, and his picture hangs on the wall of the pub. 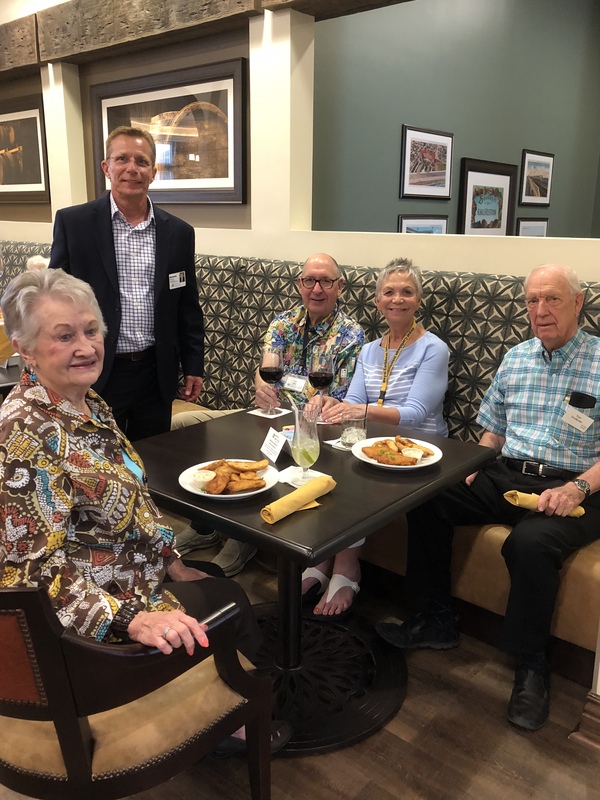 About Eagle’s Trace: Eagle’s Trace, one of 19 continuing care retirement communities managed by Erickson Living®, is situated on a scenic 71-acre campus in West Houston, Texas. The community is located in Harris County and is home to 875 residents. Additional information about Eagle’s Trace can be found at EaglesTraceCommunity.com.